We’re working feverishly this weekend to try to get the latest theme – titled LinePress – out to the anxious Gabfire community. It’s built using HTML5 and it has hints of the recently upgraded NewsPro theme. So if you’ve been looking for a newspaper theme and haven’t found one in the Gabfire lineup, then this one may be for you. Here’s a quick screenshot. Stay tuned for the release of LinePress, most likely on Monday. 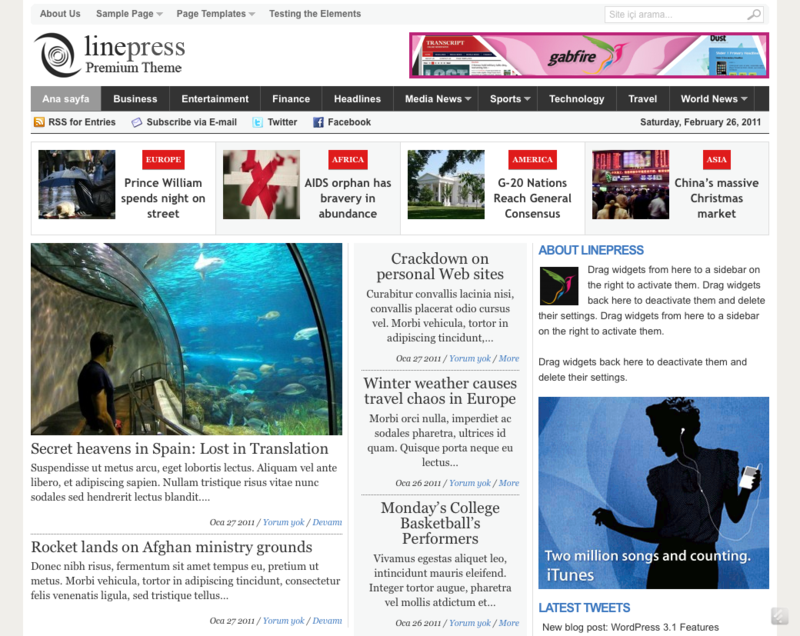 8 Responses to "Preview of LinePress Theme"
It looks amazing with top latest news. I think this is going to be 2011 best wordpress news theme. The theme mixes the best from previous newspaper designs, plus adds the horizontal feature bar, which is a really killer. I am confused over Transcript, WP Advance and linepress. Can you give your feed backs on the three. Which one is the best? They are all built on same framework, there are no differences between our themes since they have same features. So, you should purchase the one that you like more. Thanks for doing such a post.. . Awesome theme for our inspiration. Hey I am using already linepress them but why not showing my adsens ads on my blog? Can you suggest me?